Teyana Taylor is an actress and recording artist. You might recognize her from Kanye West’s Fade Music Video. She is an OPI ambassador and recently opened up her own nail salon, Junie Bee Nails. The salon is located in her hometown of Harlem in New York City. Junie Bee Nails is named after Taylor’s 2-year-old daughter, Junie. The salon has a 90’s throwback theme with bright colors, graffiti, neon lights and an overall funky vibe. Taylor said she wanted to recreate a ‘street art feel’ with her salon and paid attention to detail on the design of the space. Taylor most definitely nailed the 90’s aesthetic. You can follow Junie Bee Nails on Instagram at @juniebeenails (https://www.instagram.com/juniebeenails/), but we’ve compiled a few of our favorite designs for you to get inspo from! Some of the designs are classic styles and some are pretty wild! “It’s clear that pink and holo go hand in hand” how clever is that? ???? 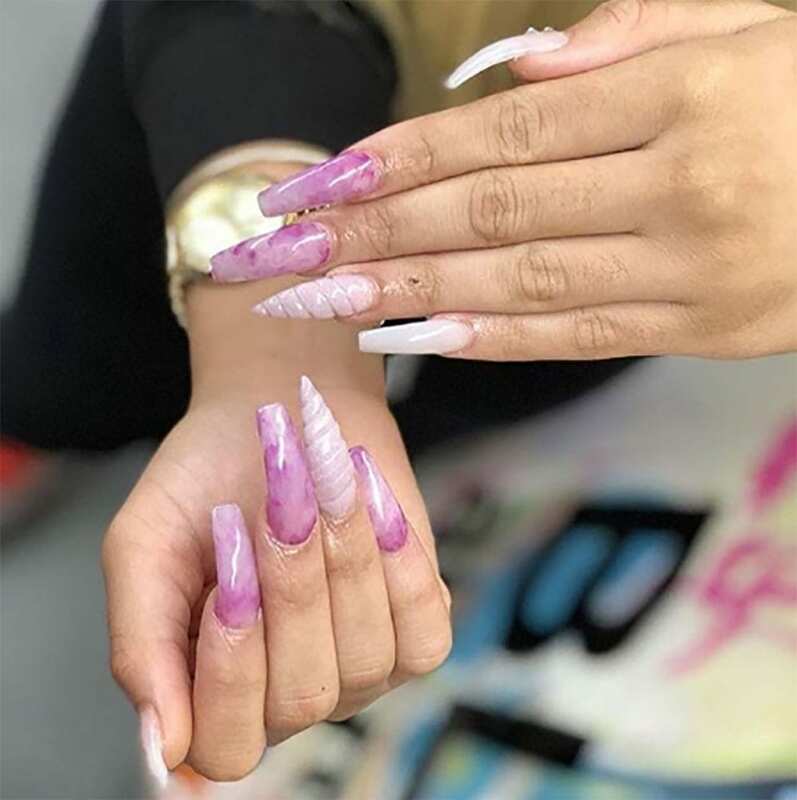 We Slay @juniebeenails Nails done by Our Very Own @chasing.wisdom ???????????????? By OUR VERY OWN @jardynydraj ??????????????? ?